New to the series? Check out Something Strange and Deadly. recommended for: For sure fans of Cat Winters (In the Shadow of Blackbirds, A Cure for Dreaming). You'll find as much paranormal flair, romance, and feminism with a bit more adventure and terror. Ditto The Dark Unwinding by Sharon Cameron, or anything Steampunk. With her brother dead and her mother on the verge of insanity, Eleanor Fitt is utterly alone. Even the Spirit-Hunters - Joseph, Jie and the handsome, enigmatic Daniel - have fled to Paris. So when Eleanor begins to hear the vicious barking of hounds and see images of haunting yellow eyes, she fears the worst - that the Dead, and the necromancer Marcus, are coming for her. To escape and search out the Spirit-Hunters, Eleanor boards a steamer bound for France. There she meets Oliver, a young man who claims to have known her brother. Though friendly, Oliver entices Eleanor with necromancy and black magic, yet as long as she can resist his powerful temptation, she'll be fine. But when she arrives in Paris, she finds that the Dead have taken over the city...and there's a whole new evil lurking. With the body count rising, Eleanor is forced to make a deadly decision that will go against everything the Spirit-Hunters stand for. 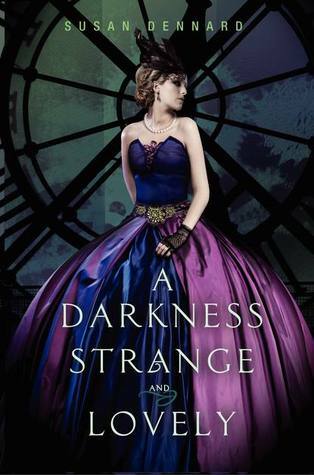 In Paris, there's a price for this darkness strange and lovely...and it may have Eleanor paying with her life. Eleanor is back with a vengeance. Literally. In the wake of the tragic happenings that altered her life, she's set on revenging herself on the diabolical mastermind behind the death and destruction. The mastermind who's now coming after her. She can't fight him alone. This means a trip to Paris, where the Spirit Hunters are contending with an uprising of les Morts. On the way, she meets a sullen demon who helps her to hone a power that she's only beginning to comprehend. This sequel is deadlier and more dramatic than the first, full of questions about truth and morality. The very power that gives Eleanor strength may also be corrupting her soul. It puts her at odds with Joseph, Daniel, and Jie, who fear what she is becoming. Yet, they must band together, because someone in Paris is decapitating bodies to build a terrible spell. And where necromancy is darkest, Marcus is never far behind... As thrilling as Something Strange and Deadly, the sequel has even more gravity and grit. I held my breath the whole time, and I don't think I ever got it back. Dennard has clearly mastered the historical zombie romance. It's glib, but true. Her sequel retains all the elements that made the first so vibrant and unique: the rich Victorian setting, the Dead, the steampunk technology, the fraught romance. But now that Eleanor is caught in the Spirit Hunters' world, there are new avenues to be explored. Dennard elaborates on her old fashioned magic. Now we're introduced to the spirit realm, Hell hounds, and demons. Compulsion spells and dangerous magical artifacts. It's everything I loved from the first book, on a grander scale. with a greater gravity and grandeur. There's also a greater heaviness here. 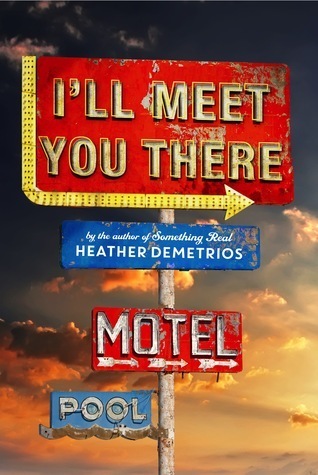 While the book still has plenty of Dennard's dry wit and snappy dialogue, it's a darker book than the first. Eleanor becomes caught in the addictive web of necromancy. The power is immense but consuming, lovely but dark. Her only guide is a demon that she may not be able to trust. The magic is a drug. It sets Eleanor at odds with Joseph, Daniel, and Jie, who loathe and fear the dangerous power, the self-magic that comes without electricity or invention. This conflict overlays a grittier, darker plot line that feels less whimsical than the first book, and more charged. The romance is also more desperate, more harrowing. Eleanor and Daniel circle each other like two magnets, drawing just far enough away before they can snap together. It's maddening and absolutely thrilling. To Dennard's credit, she doesn't take it easy on her characters. This book is so much about conflict and change. Eleanor is succumbing to the thrall of necromancy. Joseph is falling prey to the lure of revenge on his old partner, Marcus, who betrayed him. Daniel is trying to make himself over into a gentleman that Eleanor can't recognize. And Jie struggles to keep the boys sane. We also have the return of Allison Wilcox, who seems to have motives of her own, and the introduction of Oliver. He's a demon, a spirit really, with a tragically romantic past, uncertain motives, and a drinking problem. Even as Eleanor finds herself bonded with him, she cannot trust him. And his presence widens the rift between her and her friends. The character relationships take on a new depth here that more than makes up for a few kinks in the plotting. Only Madame Marineaux seems underdrawn, though perhaps it makes sense. and the game is deadlier than ever. Aided by Dennard's lyrical, atmospheric writing, this book takes on an even more epic scope than the last. Revenge on Marcus isn't the only object; Eleanor and the Spirit Hunters must deal with Dead crises on an international scale. The fun and frivolity is over. Decapitated bodies are turning up in the streets of Paris. Les Morts are rising more frequently than ever, taking more victims with them. And everything seems to be connected to the strange legend of the Old Man in the Pyramids, who holds the ultimate answer to immortality and eternal wealth. The bigger the prize, the more someone will pay. Where before Eleanor and co. were merely caught up in a larger game, the only ones who would help, now they have targets on their backs. And their pursuer doesn't take prisoners. Reading it was stressful in the best way. A Darkness Strange and Lovely capitalizes on the imaginative genre-blending of the first book, but this is no sophomore slump. It has just as much flair as the first, with even more gravity and an epic sweep that left me breathless. will i read this author again? GIVE ME MORE NOW. will i continue the series? Finished it in about two weeks. And only because I had to wait for the third to be mailed. Note: I purchased this copy. The price of the book and its origin in no way affected by stated opinions.